"Settting Goals for the Next Journey ®" "The Magic of Mentoring ®" "Creating a Team Culture ®" "B.Y.O.B Build Your Own Brand ®" "Lighten Up ®" "Laughter is the Best Medicine ®" "Emcee Services ®" "Making S.M.A.R.T Choices ®" "Think. Do. Be. Positive. ®" "Volunteering 101 - You Get More When You Give ®"
“Setting Goals for the Next Journey” speaks directly to Middle and High School students as they prepare to continue on with their education or the next step in their life’s journey. This presentation provides very practical suggestions for dealing with the future and the many variables involved. It discusses goal setting itself, why goals are important, and how to go about it. Although based in reality, the Program calls forth the best in each student and invites them to reach high, yet dream their future into the present moment and trust all that is unique in each person. The Program speaks to their brain while touching their heart. To recognize goal setting as absolutely essential to future success. To learn how to set realistic goals. To offer practical tips on setting realistic expectations for the “real world”. To trust one’s self to think big, but act with diligence and care. We look forward to working with you and your organization. Doug Dvorak’s The Magic of Mentoring program is an influential force for human capital development. A matter of trust. Youth Mentoring is a structured and trusting relationship that brings young people together with caring and competent individuals who offer guidance, support and encouragement aimed at developing and enhancing the academic competence and character of the Mentee (Your Students). A Youth Mentor is a professional with specific business and youth acumen and competencies who provides a Mentee with support, counsel, friendship, reinforcement and constructive example. Youth Mentors are good listeners, people who care; people who want to help younger individuals bring out strengths that are already there. Youth Mentoring refers to a developmental relationship between a more experienced Mentor and a less experienced partner, or Mentee. Through regular interactions (face-to-face, on the phone or via email), the Mentee relies on the Mentor’s guidance to gain skills, perspective and experience. Mentoring exists in many forms: formal or informal, group or one-to-one, structured or unstructured and is always one size fits one! With roots in ancient history, Mentoring now brings value to schools, organizations and communities worldwide. Doug Dvorak is a recognized leader and pioneer in offering formal mentoring programs to individuals (young and old), corporations, and associations. The internal and crossorganization programs he has designed and delivered help schools and other youth programs strengthen talent in ways that tie directly to academic, relationship building and behavioral goals. His mentoring philosophy is based on his proven methodology, tools and structure around training, matching, accountability, and more. There are few talent development tools more powerful than a well-designed Youth Mentoring program. Our clients have come to realize this, and many have been with us since our founding. Schools and other organizations depend on us to understand their students/youths in order to develop and deliver Youth Mentoring programs that tie directly to their strategic goals, defining success at the outset, so that everyone recognizes it when it arrives. Whether you want to focus on leadership development, organizational planning, fostering innovation or a host of other critical academic talent issues, our experienced consulting partners work closely with your school or youth organization to deliver a program, which addresses your specific school/youth organization objectives. With our extensive experience in the arena of human capital development, we have created a number of groundbreaking mentoring platforms that can be customized to maximize your schools mentoring experience and ensure return on investment for your students and staffs’ development initiatives. The most powerful component of our program is the direct access to the knowledge, experience, and insight of a more-experienced professional from another organization. Our highly personalized and in-depth match process guarantees that each partnership addresses the specific needs of the Youth or Staff Mentee and the objective of your school program or assembly. This groundbreaking program combines formal one-to-one Mentoring, youth education and peer networking to create a powerful learning experience. Our program gives schools and their students a compelling and cost-effective way to recognize and invest in your emerging young adults and school staff. This collaborative program brings together a group of Mentees whose common goal is to develop both personally and professionally from the guidance and feedback provided by dedicated Mentors. Mentees drive the process by scheduling and facilitating meetings based upon their collective development needs and benefit not only from the insight of committed Mentors but from the interaction of their Mentee circles group. Designed as a program for self-starting individuals, we place development tools directly in the hands of the participant. We have developed a comprehensive process that provides an organized action plan, which guides the participant from assessing their readiness for a Mentoring partnership to identifying a Mentor and defining development goals. Schools can use this program independently or as a complement to more comprehensive, formal programs. Customized, real-time development that is unmatched by MBA programs, executive coaching and other approaches. Who Needs a Mentoring Workshop? School staff and students that are interested in developing or revitalizing a Mentor program. School staff and students just starting out that need to create a strong Mentoring program. School staff and students experiencing confusion about what a Mentor – Mentee relationship and program exactly is. School staff and students that want to motivate themselves and build momentum and excitement around a Mentorship program. This workshop will prepare you to set up your schools own Mentoring system. Learn how to use a formal Mentoring approach to support diversity and succession planning. Establish strategic goals and plans for implementing mentoring. Develop strategies for selecting and matching mentors and Mentees. Gain the most sought after skills in the best way possible for communicating the process to your students and staff. Leave with a valuable step-by-step guide for establishing and sustaining a mentoring system. One-hour keynote OR half-day abridged version is delivered in a 3-4 hour format OR complete version may be delivered in a 6-8 hour format. We look forward to working with your students and your school. "Creating A Team Culture ®" workshop. Our student, faculty and administration team building workshops are highly interactive and are customizable to meet the specific needs of your school. The variety of experiential exercises that are available can take you outdoors or keep you inside assembly room of your school. No matter what direction your school decides to take, our team building workshops will create excitement, focus, and action for improvement. Improved Communication through a revealing exploration of the different ways in which students send and receive any type of information. Reduced Conflict, the students will gain the ability to recognize and minimize unnecessary clashes between dissimilar personality types. Strengthened Organization Effectiveness, through an awareness of the various human needs and student preferences within the team. Decreased Stress, the students will discover how to sidestep anxietygenerating and time-consuming interpersonal issues. Half-day abridged version is delivered in a 3-4 hour format. Complete version may be delivered in a 6-8 hour format. We look forward to working with you and your school. Your personal brand is the values that your friends, family, co-workers, and the marketplace associates with your name. (In high school it might be known as your reputation.) What values do you stand for? How do you make that clear to the world around you? How do you achieve your goals by being clearer and more visible? By developing your Personal Branding. Personal Branding describes the process by which individuals differentiate themselves through identifying and articulating their unique value proposition (UVP) to achieve a specific goal. Many other people bring the same products, services and skills to school that you do. So why is it that some people just seem to stand out? Chances are, consciously or unconsciously, they have created their own unique personal brand. Personal Branding is not about applying a thin layer of veneer. It's about getting in touch with your authentic self - what's true and real and genuine about you. It's about harnessing the values you live by and the passions that drive you and presenting the real you to others. Who Needs a Personal Branding Workshop? Thank you for your interest in Doug Dvorak’s "Lighten Up ®" program. How to put more fun in School and Your Life!! In this program, students and faculty will learn how humor can reduce stress, improve creativity, increase productivity and balance the stress of life and school by providing them a new perspective. Through a fun, funny and educational experience, participants will acquire humor coping skills to incorporate into their personal and academic lives. Recognize the value and importance of humor in creating a more healthy and balanced life. Use humor to make a message more memorable. Achieve more balance in life and school through humor. Recognize the value of humor in creating a healthier perspective. Implement specific techniques to incorporate more fun and humor in your students personal and academic lives. Enjoy a fun and entertaining program full of practical information. Live long, laugh large and often. What's your HQ? (Humor Quotient) Is it surprisingly low or non-existent? Are you laughing and living up to your humor potential? If you want to develop and exercise your "Funny Bones", then you should plan on attending this interactive workshop. Who should attend? Anyone who wants to add humor and laughter to their personal and professional life! This workshop takes your students and staff through the creative process of humor and improvisation and teaches you to recognize the "Funny" in us all. Recognize the importance and power of laughter and humor in life and work. Learn to create and honor your own unique sense of humor. Increase student comfort and confidence by using humor personally and professionally. Embrace a broader perspective of humor as a way to get support for all areas of youth life. We look forward to working and laughing with you and your school. Why Learn Laughter Yoga with Doug Dvorak? Doug Dvorak is one only 500 Certified Laughter Yoga Teachers in The United States. Doug personally trained with Dr. Madan Kataria, the Founder of The World Wide Laughter Yoga movement. This training is both a crash course into laughter yoga as well as an advanced training for all seasoned laughter yoga practitioners. Same, simplified, and more: You will learn everything that is taught by the Dr Kataria School Of Laughter Yoga in a simplified and more effective way. I have been practicing and teaching Laughter Yoga in North America since 2006 and have constantly strived to refine and improve the way we have led laughter sessions. Save yourself the learning curve! It took a while and what we now have is a simple yet very powerful protocol that anybody can follow to create, strengthen and sustain strong both personal and group laughter dynamics. Your students do not need to be powerful laughers themselves. That is a gift that few have. I teach skills that anybody can learn. The end result is exactly the same, oftentimes better because it teaches that anybody can shine, as they are, where they are, regardless of where they come from and may be going. This includes you and every single one of your students. 20 basic variations for any given laughter exercise: Age / Gender / Coordination / Denture / Dexterity / Distance / Eyesight / Funny associations / “Make it more interesting” / Mood / Size / Smell / Social groups at different times in history / Sound / Speed / Style / Taste / Using different body parts / Using different objects / Weight. Why think of the worst? Focus on the best possible outcome. 80/20 rule. Don’t Regret the past. Learn from it. Rest less: don’t stop until you have reached your goal. Don’t say Yes to worry. Yoke yourself to something higher than yourself. Expect to laugh a lot, recharge your batteries and learn enhanced ways to create, spice up and strengthen the (therapeutic) impact of your laughter sessions! All the following people will greatly benefit from attending this fun and empowering event, both on a personal as much as on a personal level: Everybody and anybody who loves and wants to laugh! Show you how to release tension in a safe and positive manner Inspire and empower you to start and run a social Laughter Club both for your own as much as for your community's benefit. Describe and demonstrate the different components of a laughter session, including a Laughter Meditation. A very comprehensive training manual (sent to you by email). You do not need to print it nor bring it to the training itself. It is intended as a reference copy. You will have the opportunity to buy a printed version at cost on-site should you wish to have one. A printed summary of what you really need to know. A Certified Laughter Yoga Leader Diploma. This certification is for life. You will not need to pay us any fee to maintain it every year. 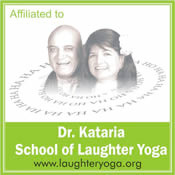 We are affiliated with the Dr Kataria School Of Laughter Yoga. This certification officially welcomes you into the international Laughter Yoga family. Flexible And Empowering Beyond Your Wildest Dreams Even though you will learn in this training a standardized and structured program of light laughter exercise, how you apply it is up to you. This is where our training becomes hugely different from others. Regular practice of this method will develop your creativity to levels you may not believe you had in you. You get to bypass the learning curve at the speed of light! When you complete the training, you are independent in how to use your training with your students in the future. This training gives you a foundation for systematic, repeatable, appealing and desirable laughterrelated programs with healthy values, that leave plenty of room for your personality to shine through with your own creative expression. As such many Certified Laughter Yoga Leaders practice their newly acquired skills or add to their existing abilities as paid speakers, class instructors, seminar leaders, or provide other health-related services that are significantly enhanced with Laughter Yoga. The "Certified Laughter Yoga Leader" diploma (trademark of Dr Kataria School Of Laughter Yoga and only official Laughter Yoga certification) will be handed out to graduates upon completion of the workshop. 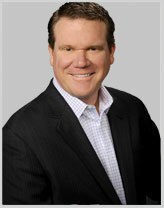 Thank you for your interest in Doug Dvorak's Emcee Services program. Making a deep personal and relevant connection with teens whilst imparting a positive influence in their lives is what all educators & parents desire, but it’s not always easy. Doug imbues a natural gift and overwhelming passion to instill positive choices, self-confidence and self-belief in teens. His personal story of surviving cancer – TWICE and climbing some of the highest mountain peaks on the planet will make you laugh and truly inspire. Doug’s experience with living outside of his comfort zone and facing adversity head-on, is an inspiration to all, and best of all, he causes a shift in the perception and attitude of teens, which creates enormous differences and positive outcomes & better choices in their lives. Doug inspires and empowers youth to make S.M.A.R.T – Successful, Motivated, Appreciative, Relentless & True choices and to step-up in their own lives in order to live extraordinary lives. His gift has inspired over 200 thousand teenagers across the globe. “Think. Do. Be. Positive” speaks directly to Middle and High School aged youth as they work through life’s journey. This presentation provides very practical suggestions for creating and maintaining a positive attitude and the many variables involved. It discusses attitude, why attitude is important, and how to go about creating and living with a positive mental attitude. Although based in reality, the program calls forth the best in each student and invites them to reach high, yet dream their future into the present moment and trust all that is unique in each person. The program speaks to their brain while touching their heart. To recognize positive mental attitude as absolutely essential to future success. Positive attitude principals & tips. Further discussion with yourself and any other staff (meeting planner, event coordinator) is needed to determine final program content. Based on the information we collect and the information provided thus far, content will be discussed, customized and agreed upon. Volunteering is the secret weapon of successful, happy people. Finding time to give back to the community and to make new connections has been proven to improve not only the lives of others, but your own life as well. It helps you make new friends and contacts. It increases your social and relationship skills. It can provide career experience. It can teach you valuable job skills. It brings fun and fulfillment to your life. Tips on how to get started with volunteer work! How volunteering impacts a community! How to get the most out of volunteering! How/Why of the benefits listed above! While it is hard to distinguish whether it is because people with higher wellbeing tend to volunteer or if volunteering actually improves our wellbeing, the consensus is that a combination of the interaction provided by volunteering and the personal satisfaction achieved is likely to have a positive impact on our happiness. Surprisingly, you don’t need to devote huge chunks of time to doing good in order to reap the benefits. Why do YOU want to volunteer? Why don’t YOU want to volunteer? The Volunteering 101 – You Get More When You Give program is ideal for anyone with current or anticipated volunteering responsibilities or those who may be interested in giving back. The program will be upbeat with the right blend of motivation, inspiration and the message you want your group to internalize. The keynote will be mildly interactive and include optional but encouraged audience participation, short exercises and video.